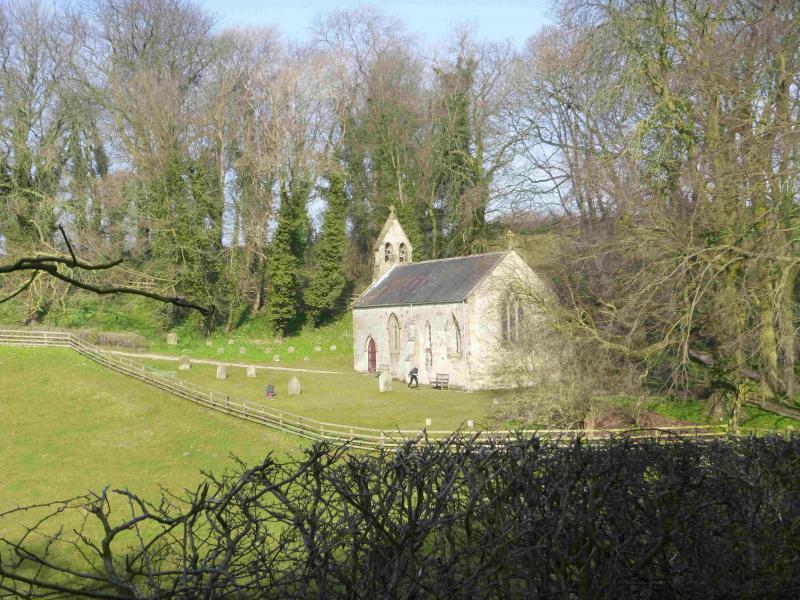 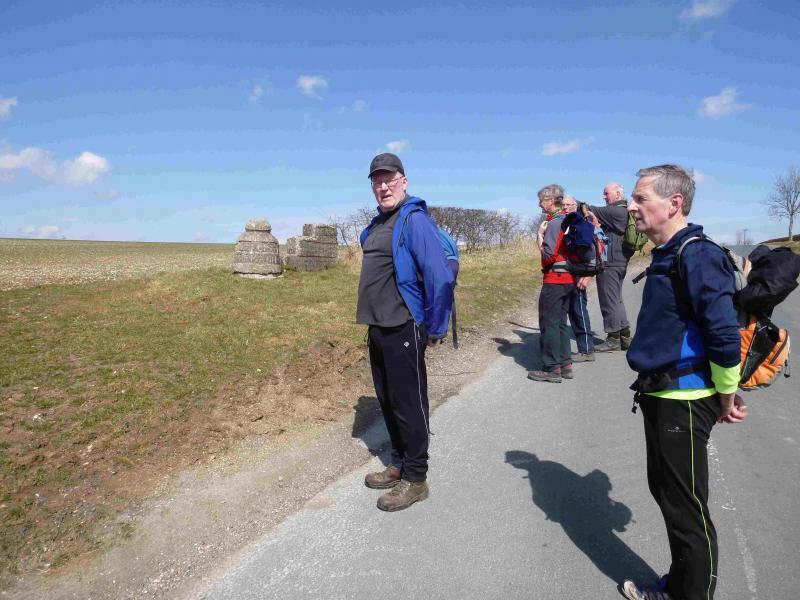 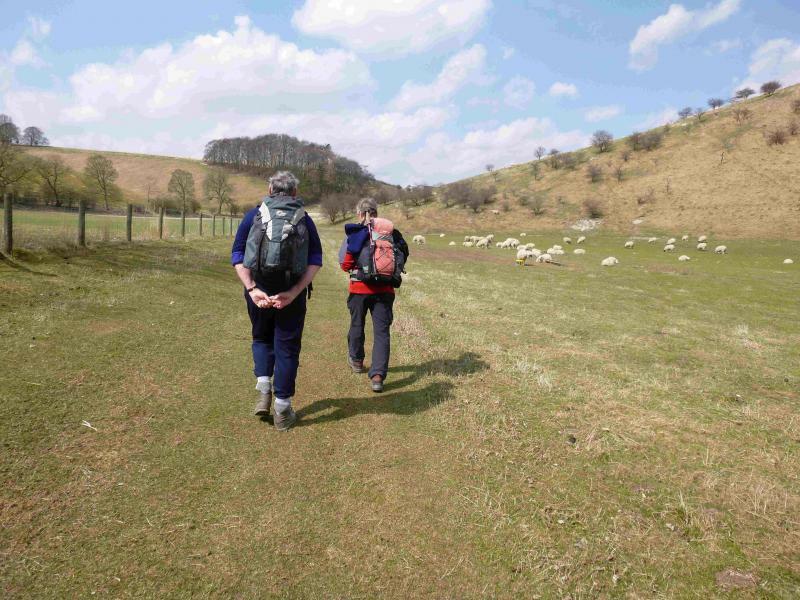 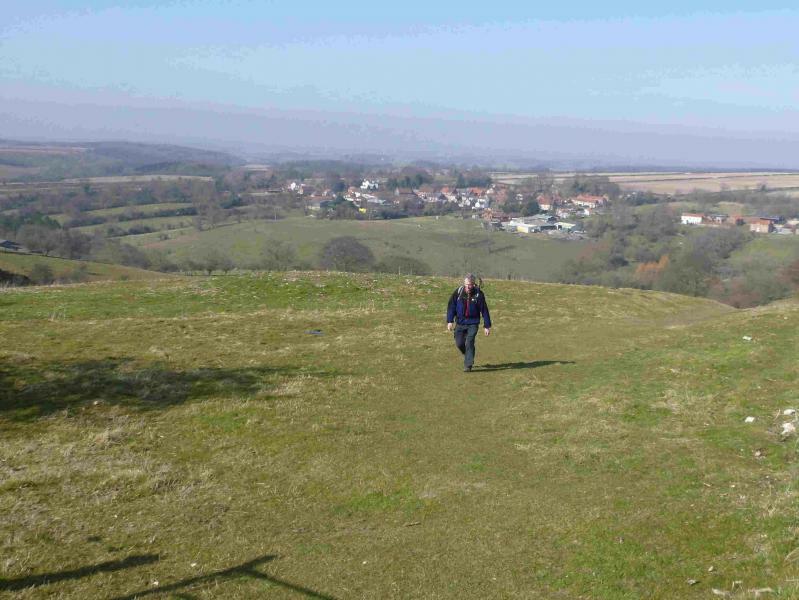 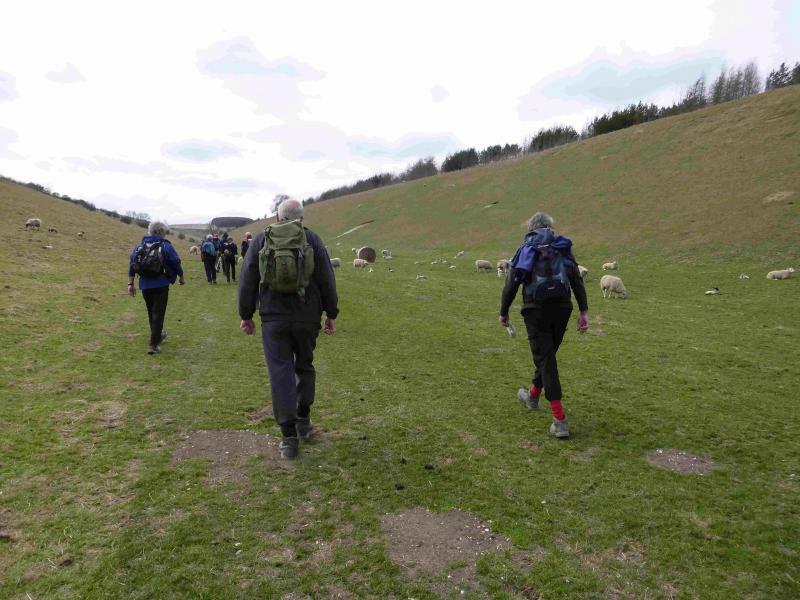 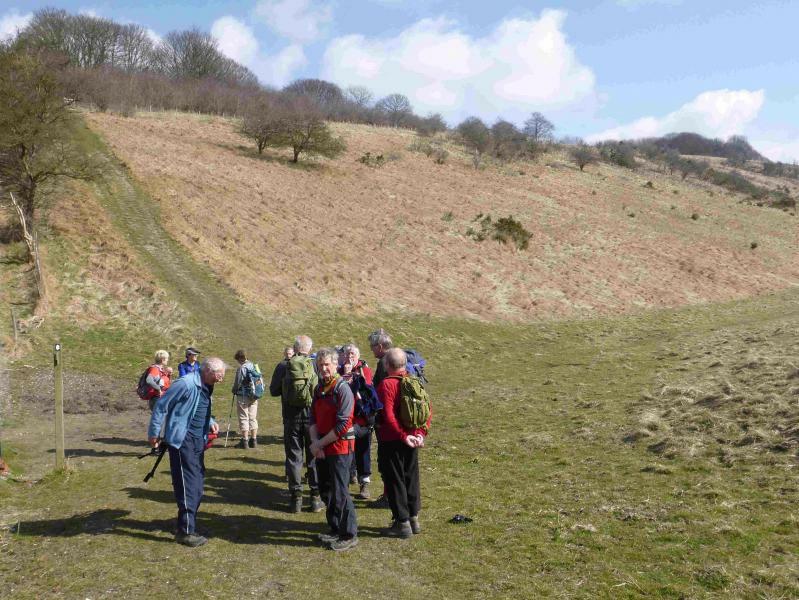 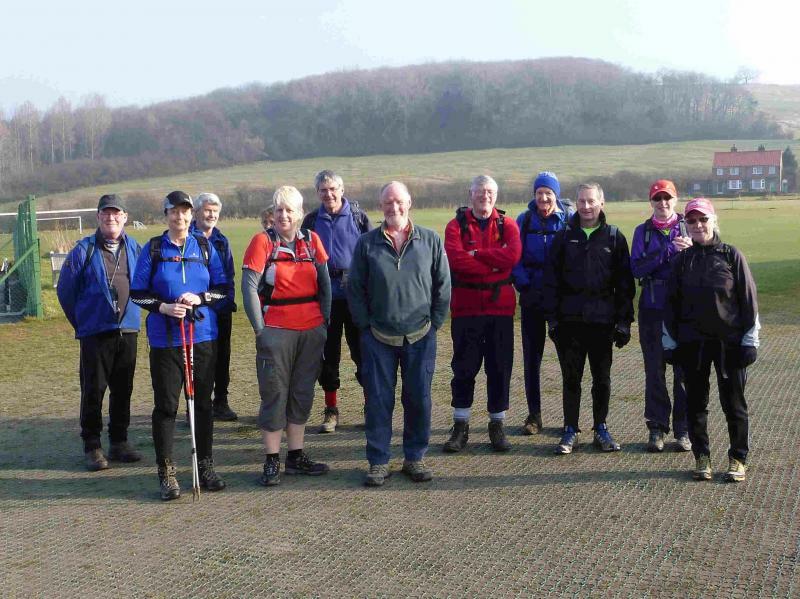 Fifteen walkers sallied forth from Bishop Wilton on a glorious spring day to tackle the 20 mile North Wolds Walk. 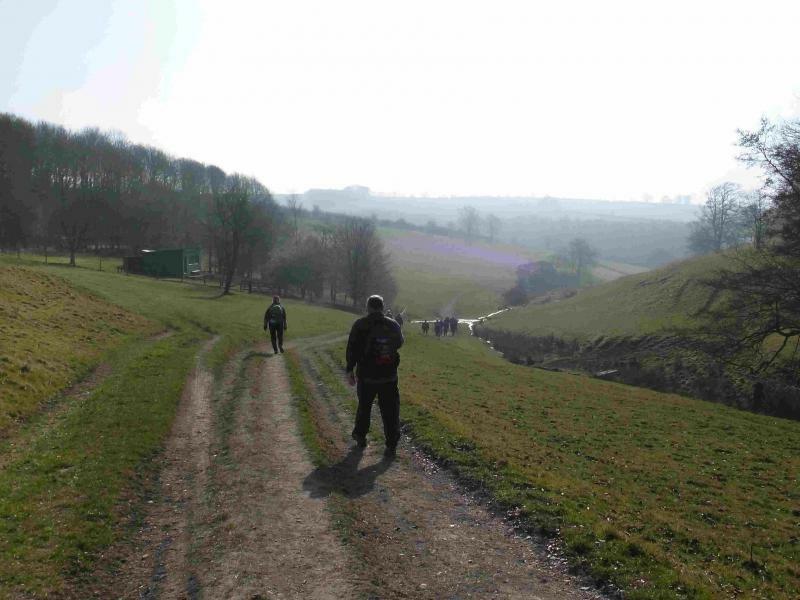 The walk is an anytime challenge of some vintage. 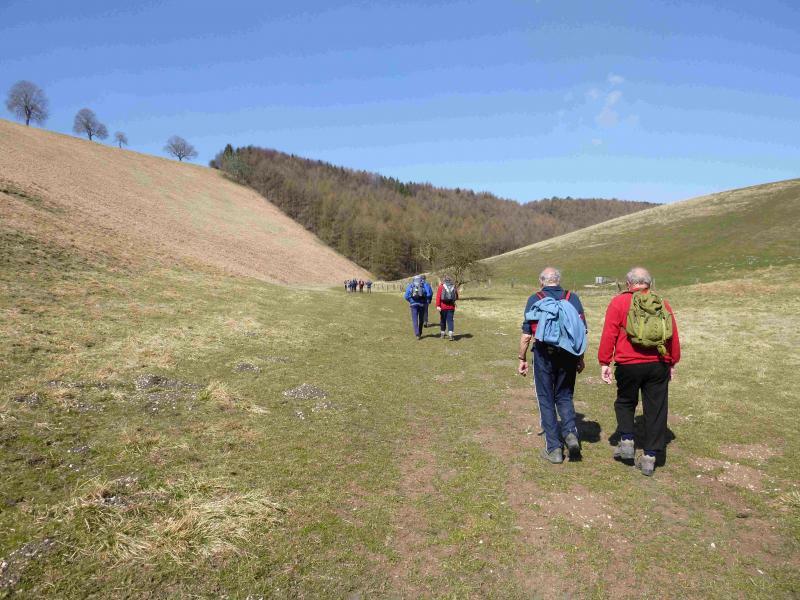 I last completed it in 1988 and I had forgotten just what a tough little walk it is with some quite steep inclines which follow along in quick succession. 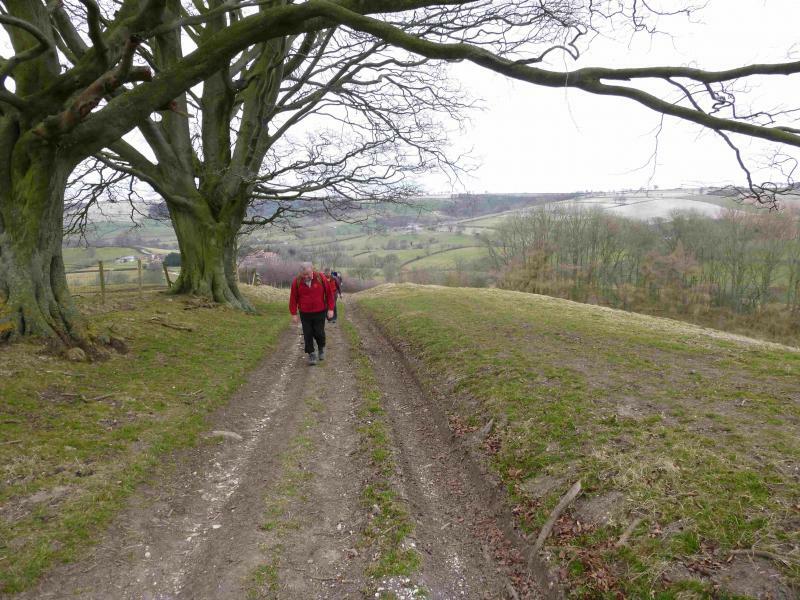 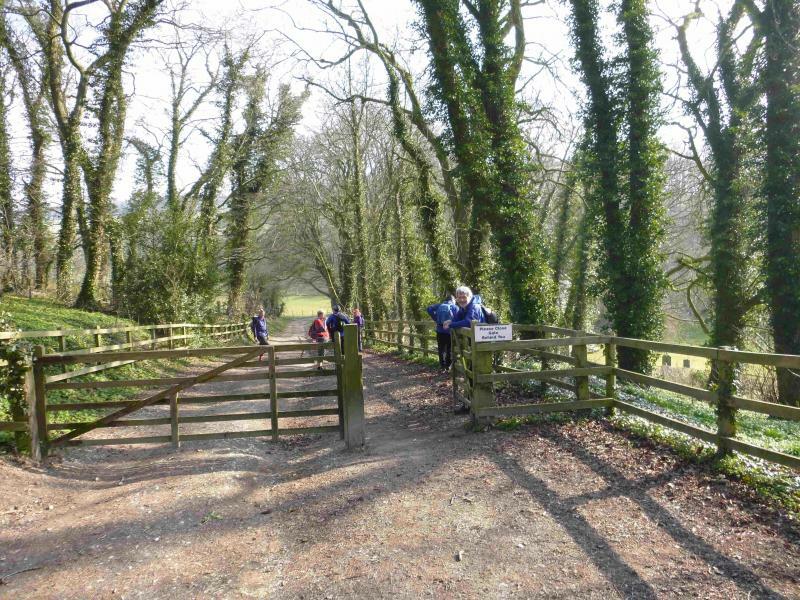 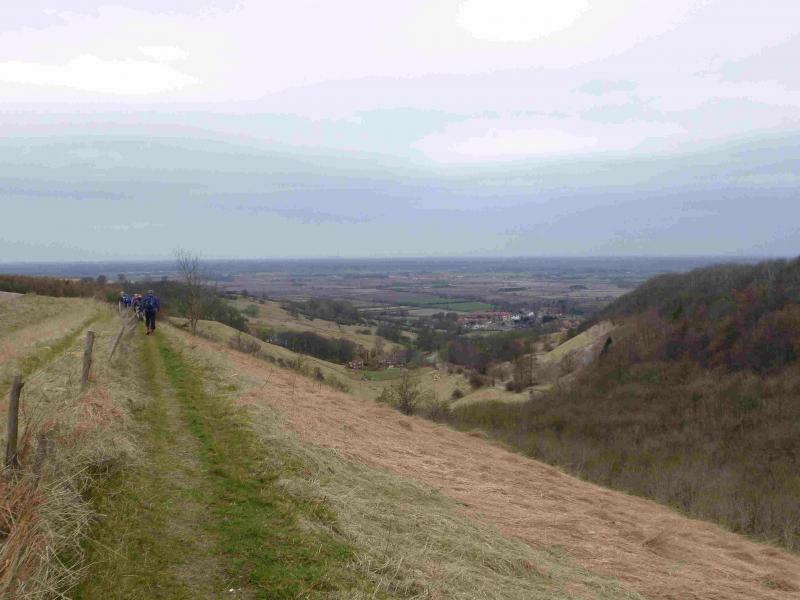 The walk took us through Great Givendale and Millington to climb to the Wolds Way above Millington Dale. 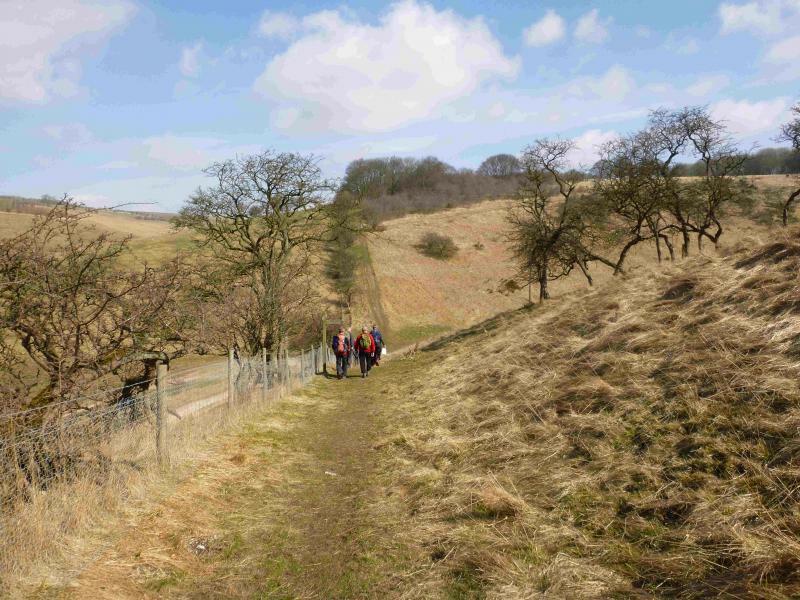 We followed the "big dipper" route north to eventually descend back into Millington Dale and then followed the path through Frendal & Tun Dales to reach the A166 at Garrowby. 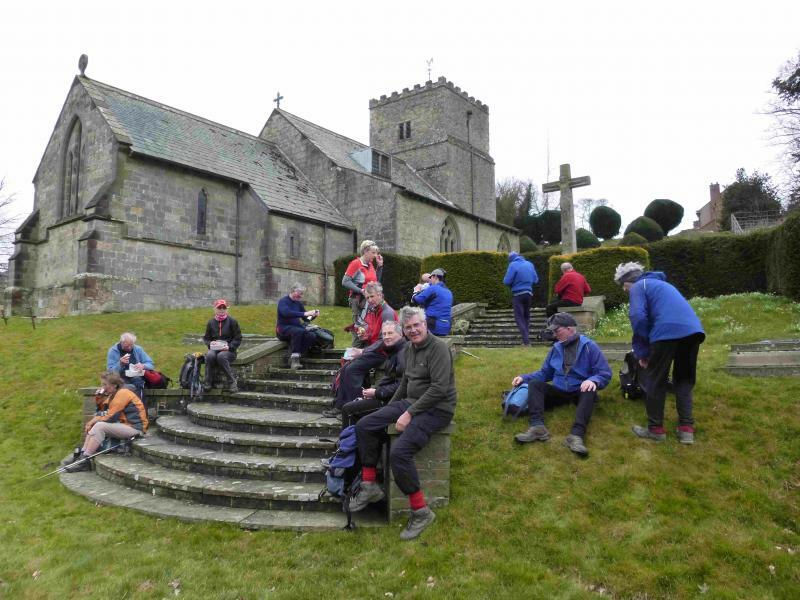 From Garrowby it was all downhill through beautiful wolds scenery to reach our refreshment stop at Thixendale where we greeted friends and aquaintances who were around 25 miles into the "Woldsman". 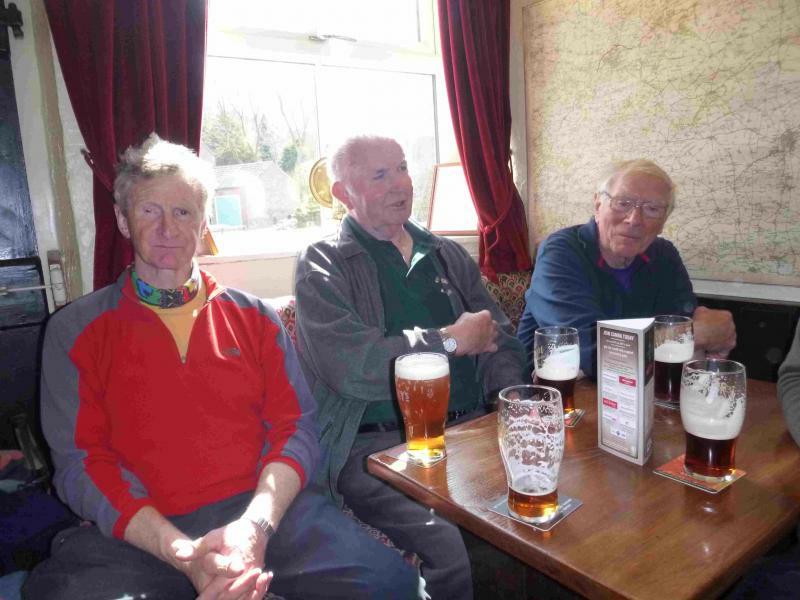 Suitably refreshed we set off in high sprits to complete our days walking via Uncleby and Kirby Underdale to finish in Bishop Wilton just as the weather changed and the rain set in.